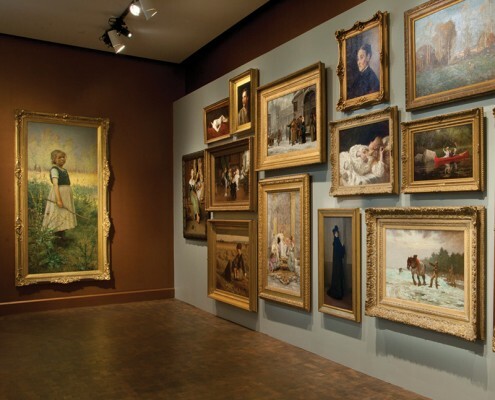 is a unique repository of this country’s art. 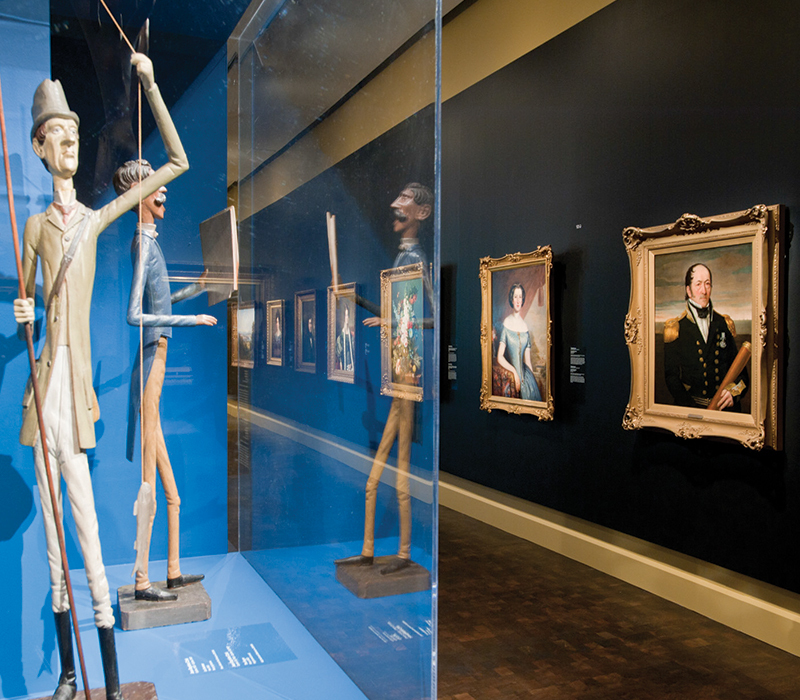 Each of the pavilion’s six levels spotlights a historical period to give a better understanding and appreciation of Quebec and Canadian art. 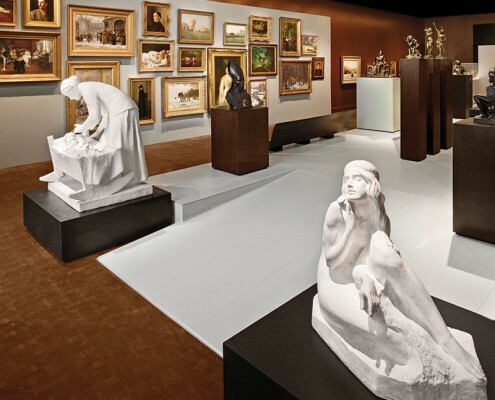 Over two thousand square metres for the exhibition of Quebec and Canadian art: A total increase of 20% to the Museum’s existing gallery space! 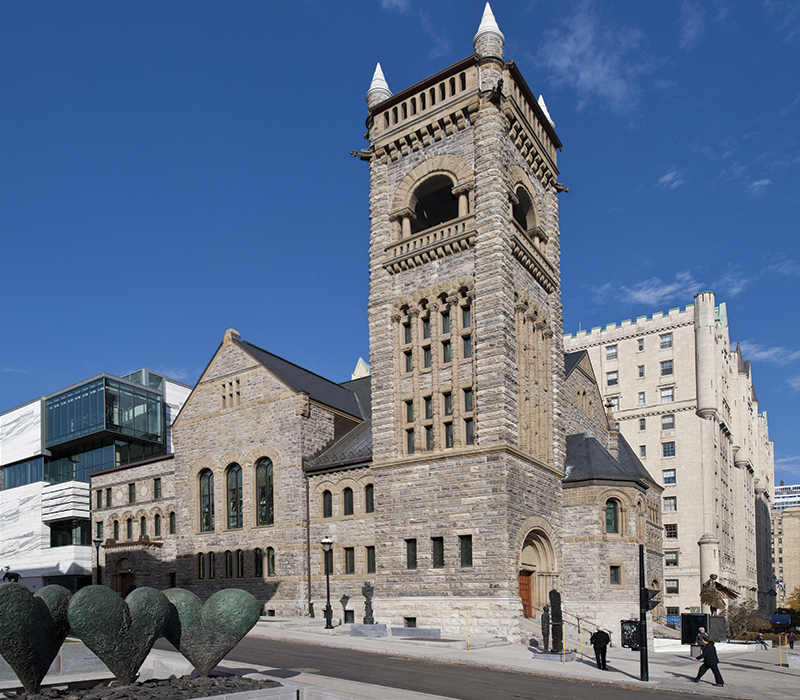 This addition to the church make it finally possible to display all the Museum’s extraordinary collections of early and modern Canadian art. 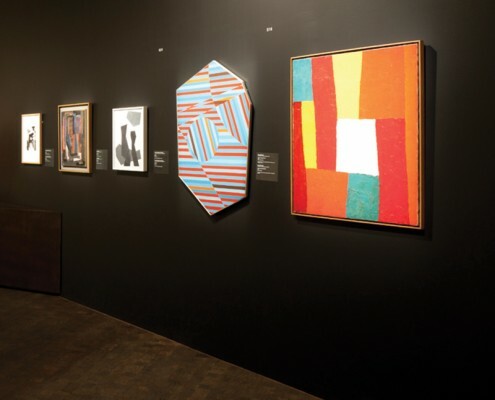 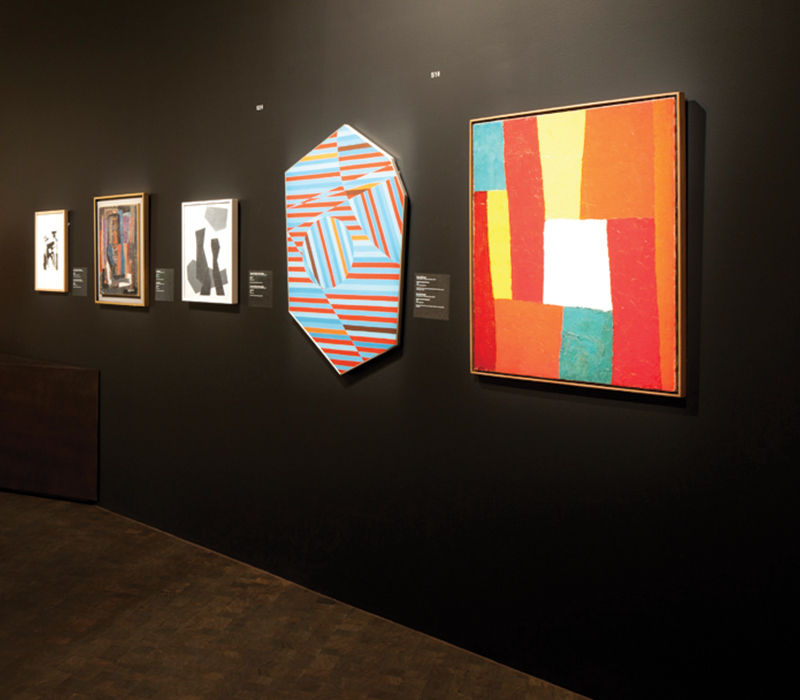 Hundreds of works are on view to be discovered (or rediscovered), including a number of recent major acquisitions that have entered the Museum’s permanent collection as a result of its 150th Anniversary Fundraising Campaign. 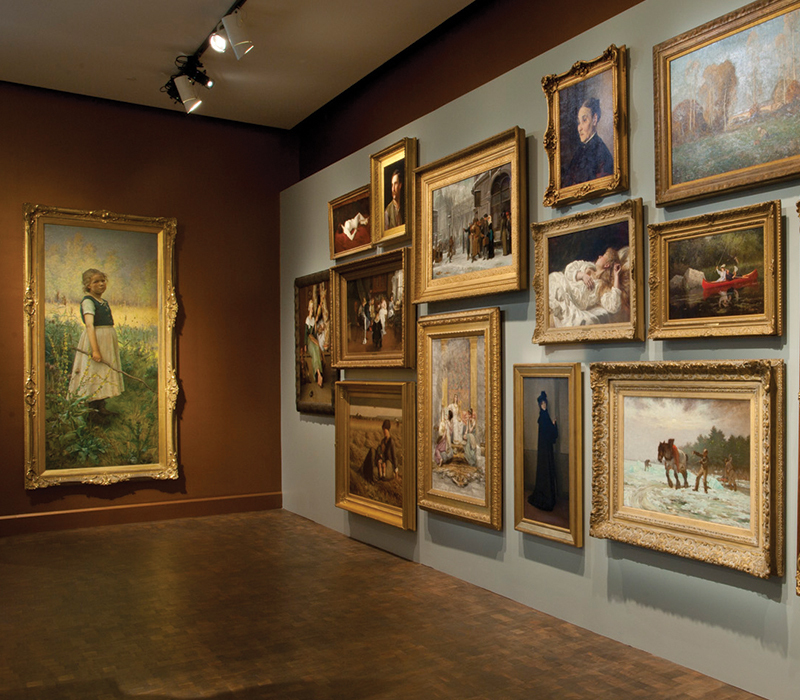 A great many of these works have also been restored or reframed. 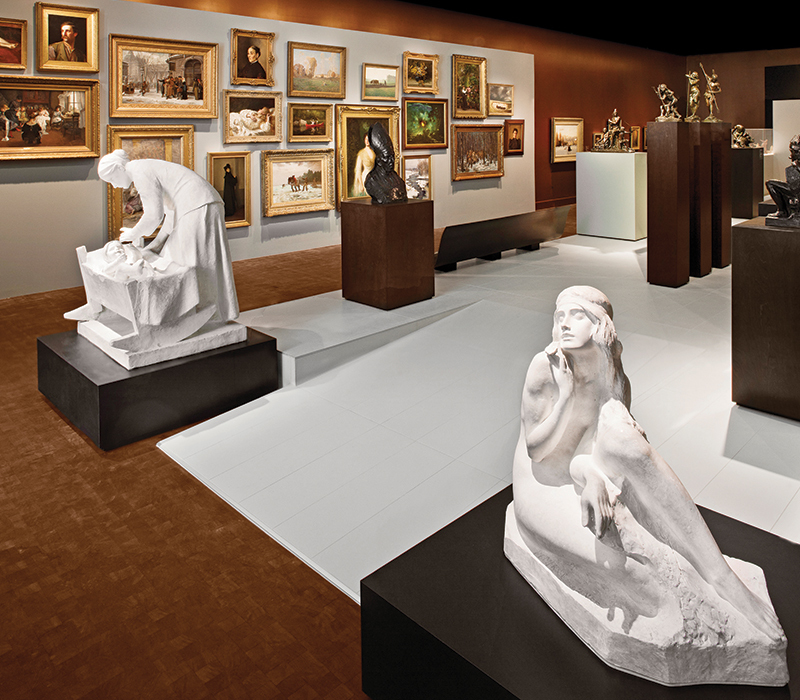 This heritage collection is presented chronologically, from the top level downwards. 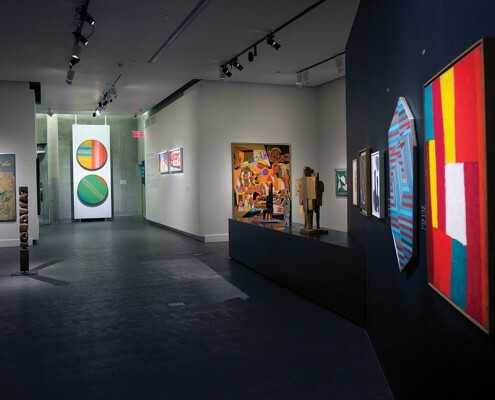 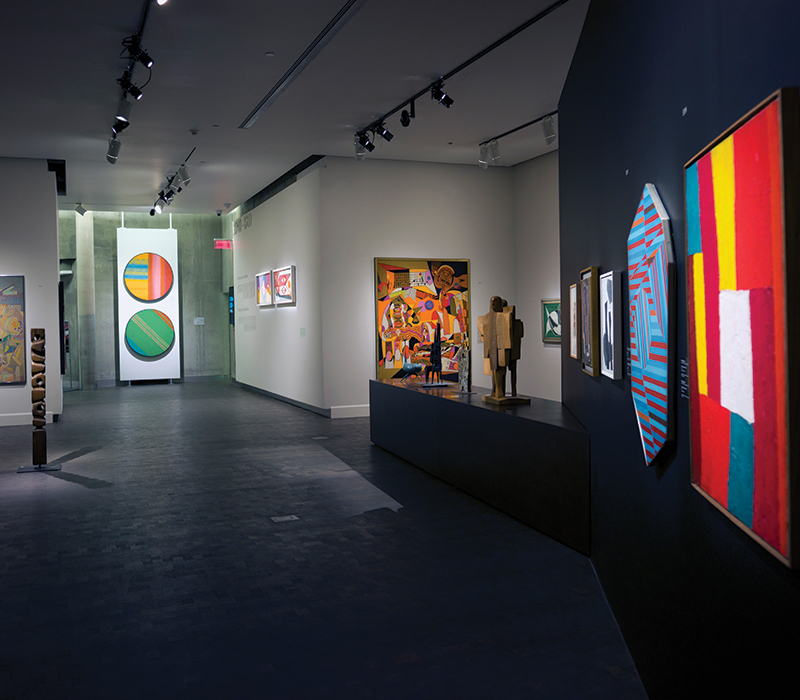 The organization of the pavilion’s gallery spaces, conceptualized mainly by Jacques Des Rochers, Curator of Quebec and Canadian Art, with the assistance of curators Anne Grace (Modern Art) and Stéphane Aquin (Contemporary Art), presents some six hundred works within a layout conceived by designer Daniel Castonguay. 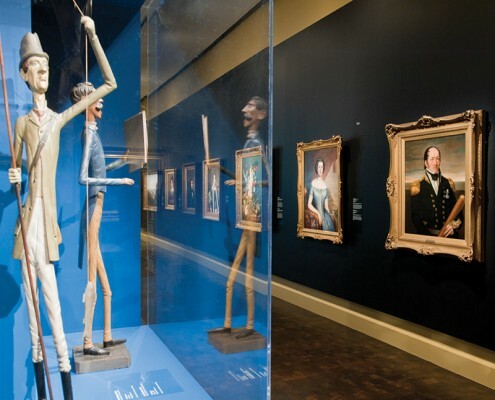 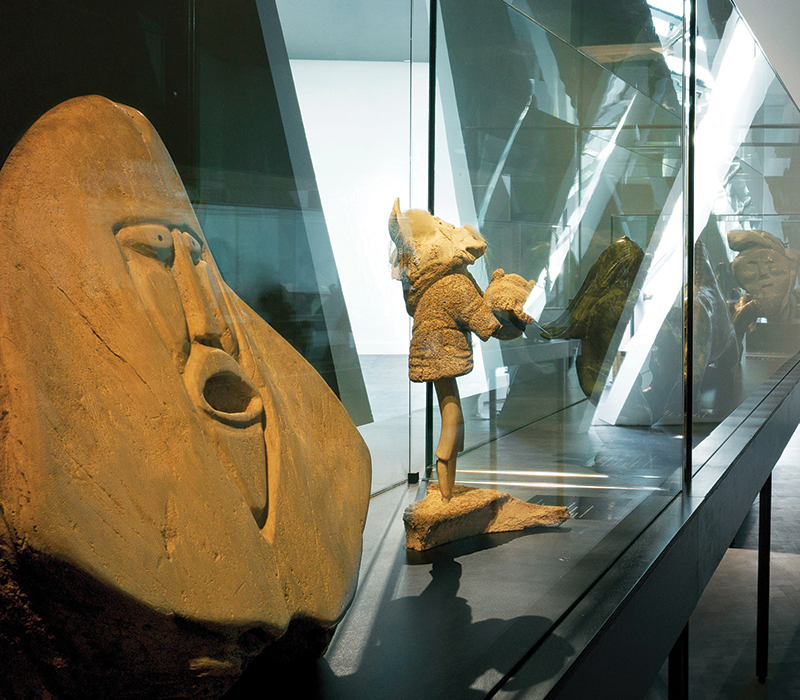 Each of the pavilion’s six levels spotlights a historical period for which a specifically designed presentation enables a better understanding and appreciation of Quebec and Canadian art. 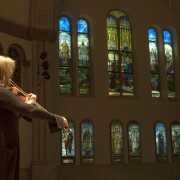 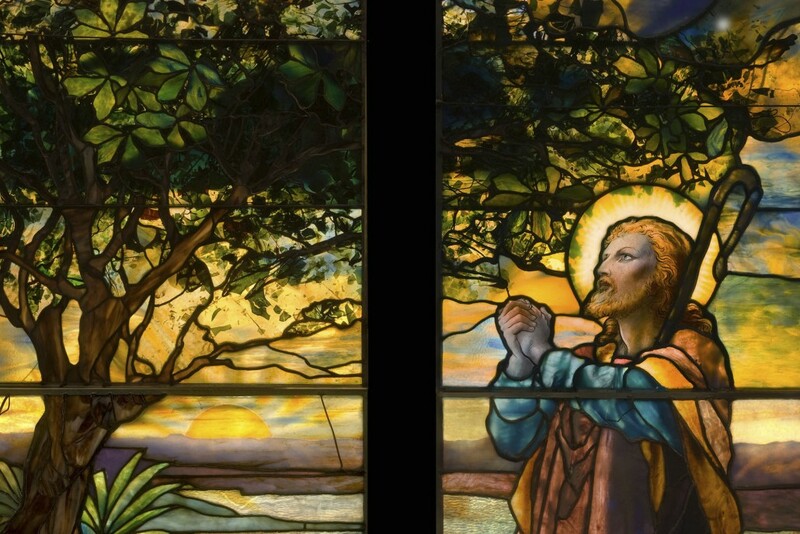 The restoration and conversion of the nave of the church into a concert hall also provided the opportunity for a thorough study and cleaning of this outstanding group of stained glass windows – part of the Museum’s collection – that decorate the building. 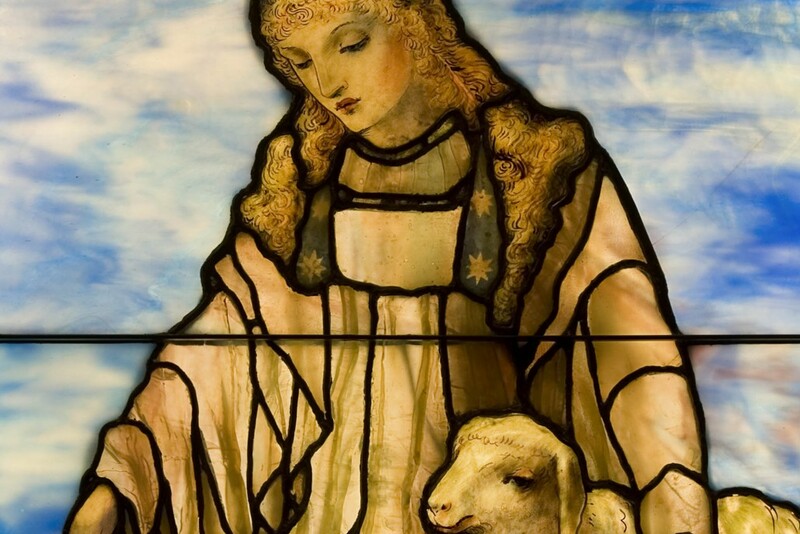 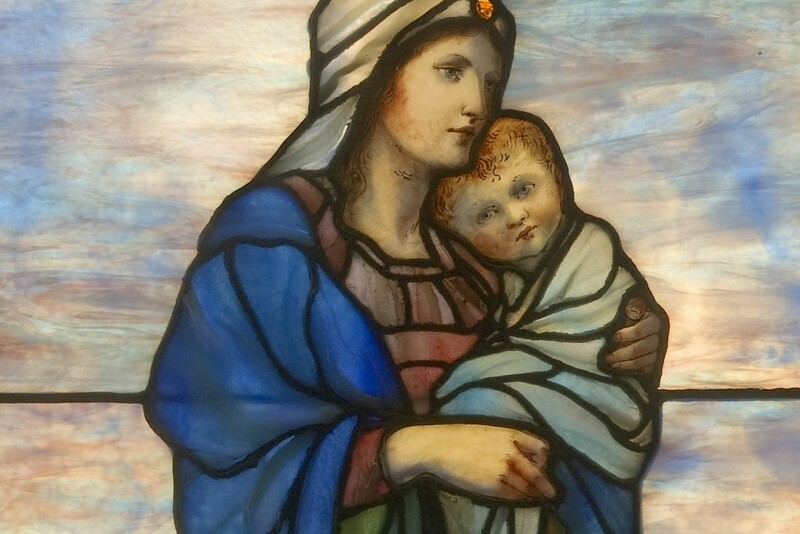 Eighteen of the twenty Tiffany windows were created during the heyday of the famous Tiffany Glass and Decorating Company in New York, between 1897 and 1904. 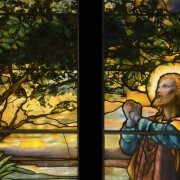 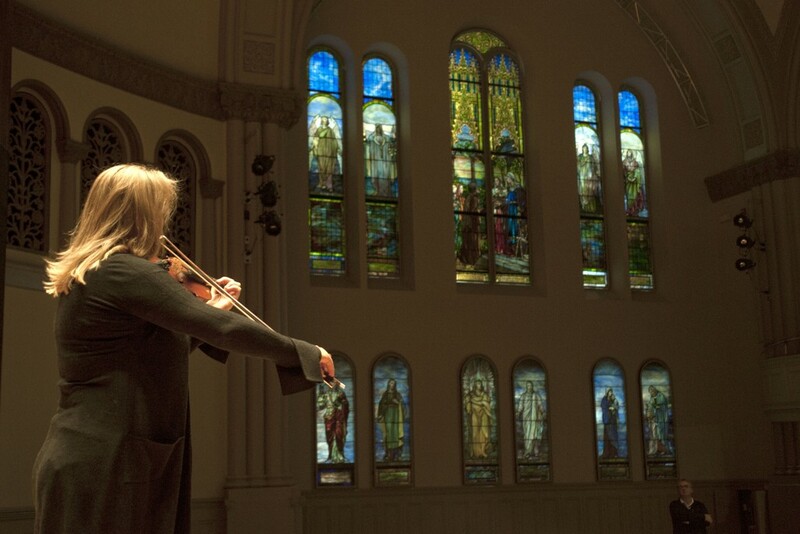 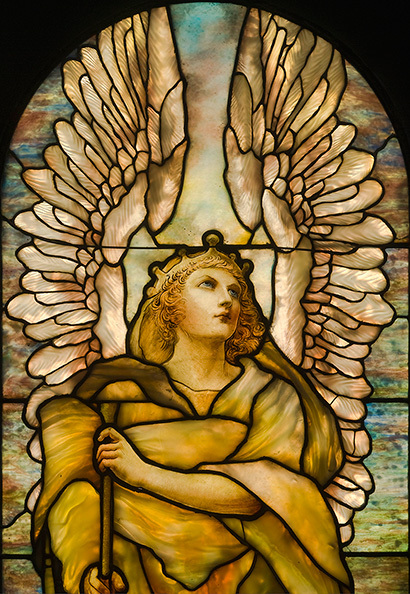 The ensemble was one of only two commissions by Tiffany in Canada and one of the few surviving religious series in North America. 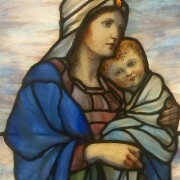 Today, after more than half a century in obscurity, this priceless heritage treasure has at last been made accessible! 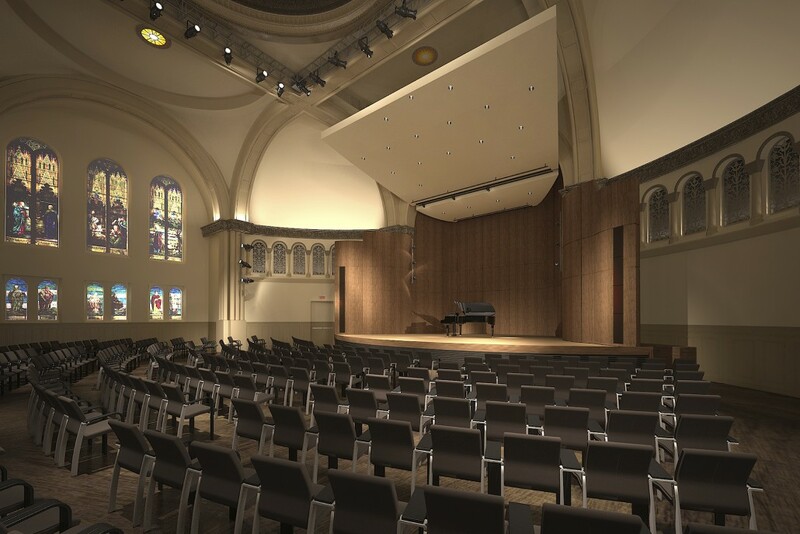 While Bernard Lamarre dreamt of acquiring the Erskine and American Church, another Montrealer, Pierre Bourgie, a lover of books, collector of contemporary art, and music enthusiast, fervently wished to put a deconsecrated Montreal church at the service of music. 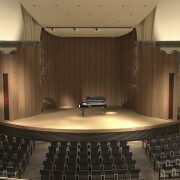 He wanted the public at large to be able to enjoy all types of music styles and ensembles in a place known for its excellent acoustics. 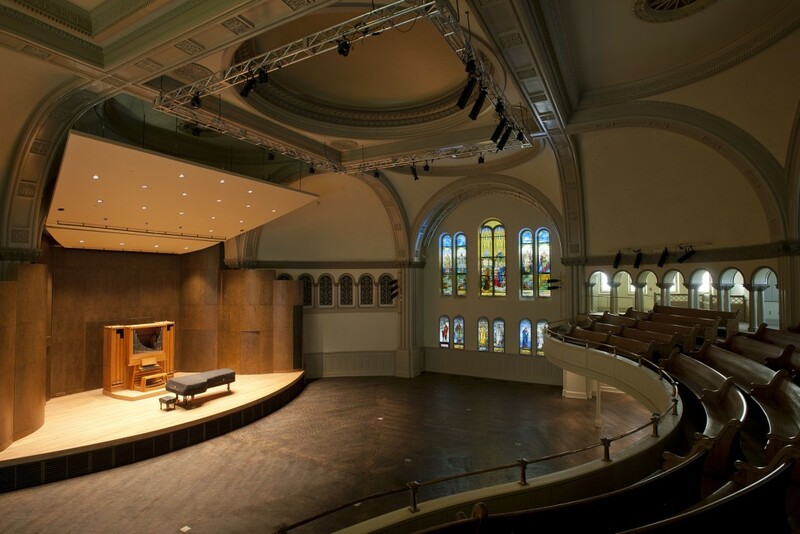 This 444-seat concert hall is perfect for chamber groups and other small ensembles such as string orchestras. 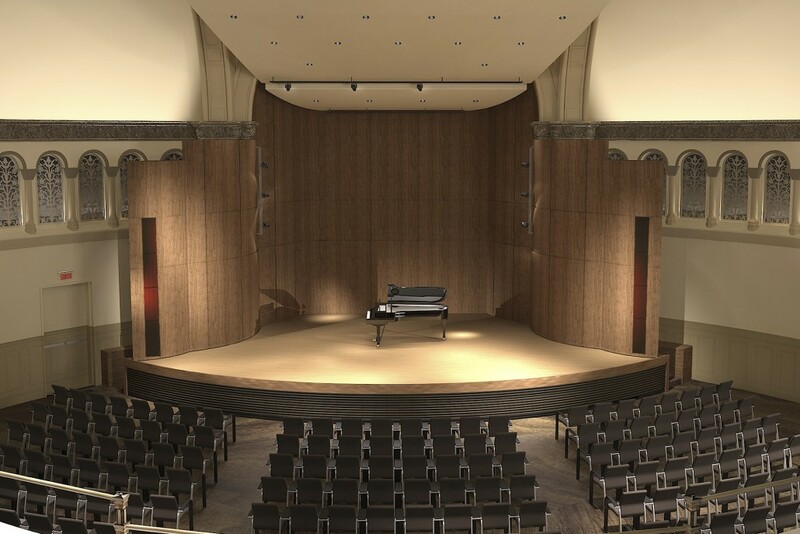 Bourgie Hall is professionally equipped and boasts two new Steinway pianos (acquired thanks to a generous donor), two harpsichords, a clavicytherium and a chamber organ with twelve stops, two manuals and pedal, built by Montreal-based builder Hellmuth Wolff. 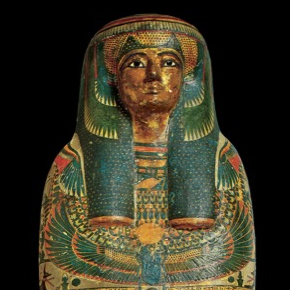 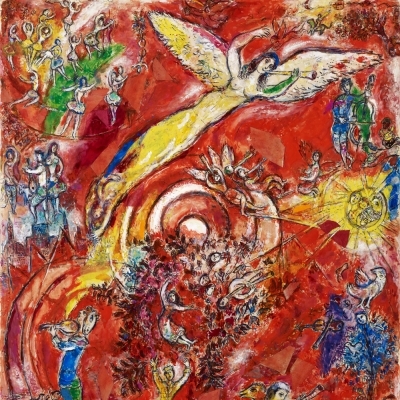 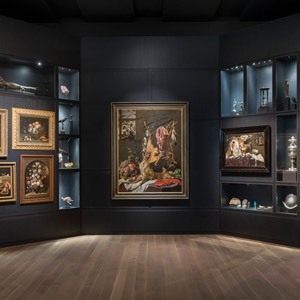 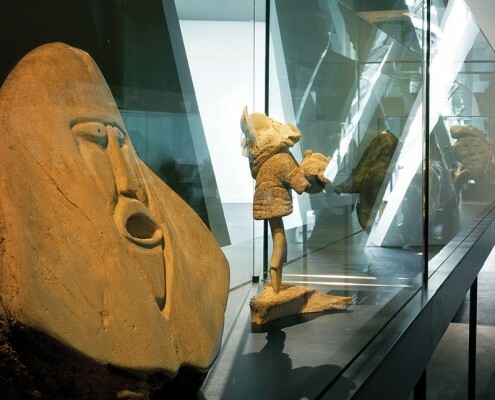 The repertoire, programmed by the Arte Musica Foundation and by private music organizations, will range from early music to contemporary fare, including jazz and world music, to give audiences access to a wide range of musical experiences related to the Museum’s encyclopedic collection. This history reflects the rise of Montreal’s Scottish community. 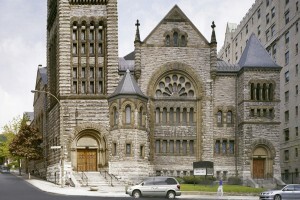 Associated with Presbyterianism, a reform religion that originated in Scotland in 1560, the “Erskine” Church was officially established in Canada in 1833. 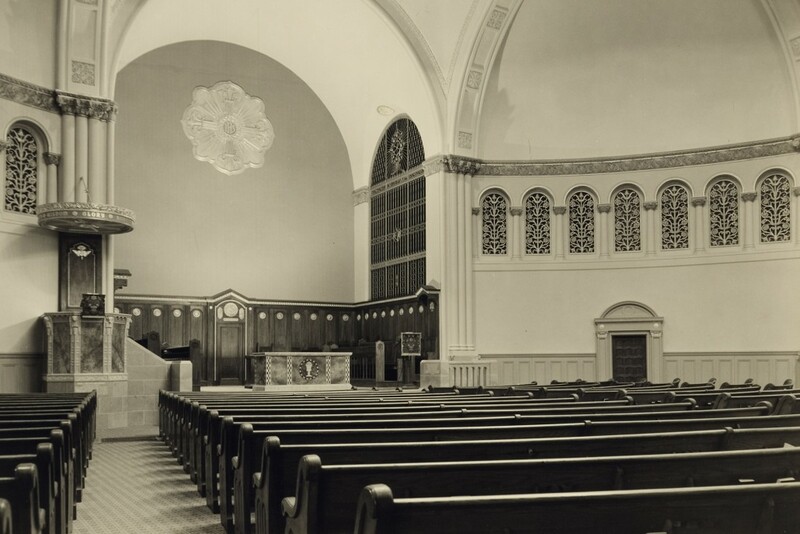 As the congregation prospered, they decided to build a new church in the affluent anglophone enclave known as the Square Mile, where many of its members lived. 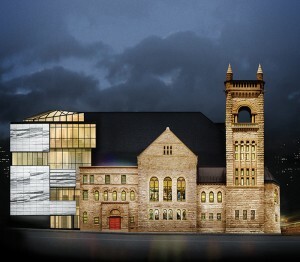 To design it, they selected a Montreal-born architect of Scottish descent, Alexander Cowper Hutchison (1838–1921). 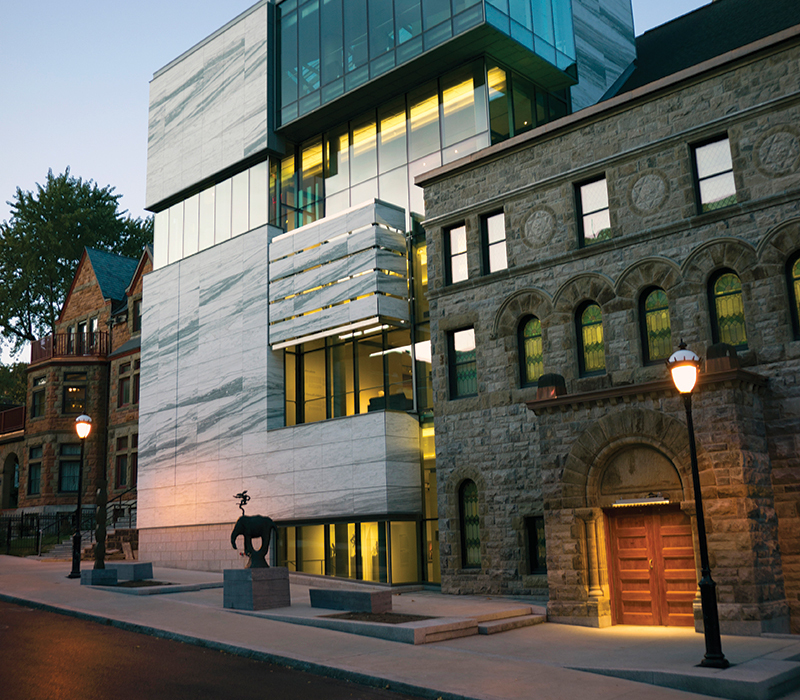 He would become one of the most prolific and prestigious architects in Victorian Montreal, being involved in the construction of such buildings as Montreal’s City Hall and McGill University’s Redpath Museum. In 1925, the Erskine Church joined the United Church of Canada. 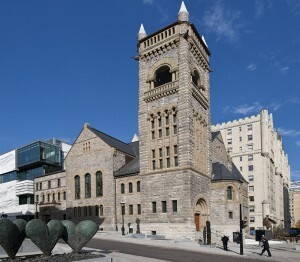 Then, in 1934, the Erskine United Church amalgamated with another Presbyterian congregation, the American United Church, on Dorchester Street (now René-Lévesque Boulevard), to form the Erskine and American United Church. 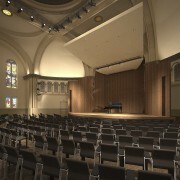 With the combined congregation, it became necessary to consider renovating, enlarging, and modernizing the building. 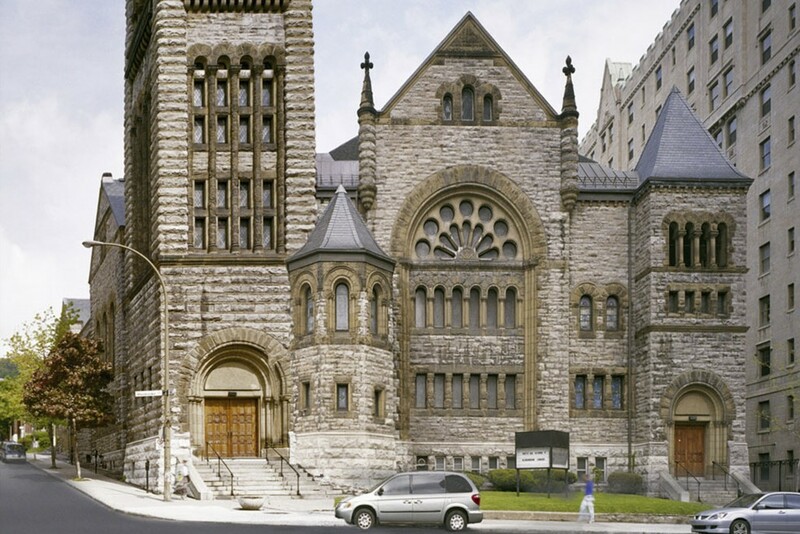 In 1937–1938, for remodelling the Erskine and American Church, Percy E. Nobbs worked with George T. Hyde, with whom he had designed several buildings in the Arts and Crafts style on the McGill campus. 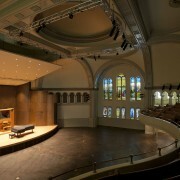 They entirely redesigned the interior layout of the church and moved the community spaces to a new addition at the rear. 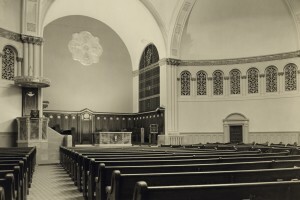 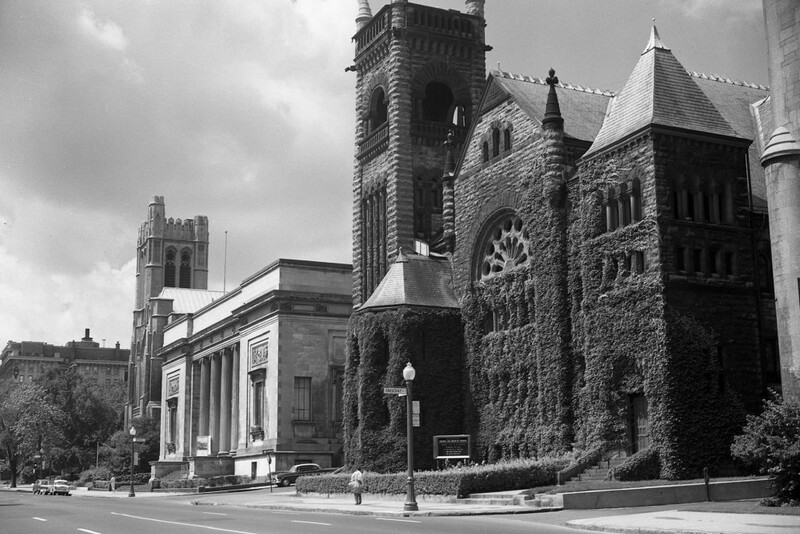 They also built a narthex, added new Arts and Crafts furnishings and ornamentation, installed a Casavant organ, and incorporated into the building a unique set of leaded-glass windows. 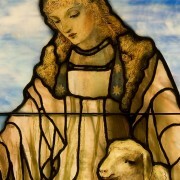 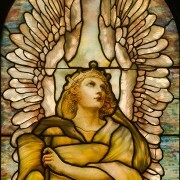 Following the amalgamation of the Erskine and American churches, the building of the American United Church on Dorchester Street was demolished, but not before carefully preserving its exceptional set of twenty leaded-glass windows produced in New York by the Tiffany Glass and Decorating Company.